If you ever believed there would come a time when we would have conversations about convincing action thrillers in Nollywood, your belief has panned out; it is happening. With films like Eric Aghimen’s Slow Country and Kemi Adetiba’s King of Boys, Nollywood has increasing material to engage in broad talks about the genre – a reflection of the much needed diversification of content from the industry. 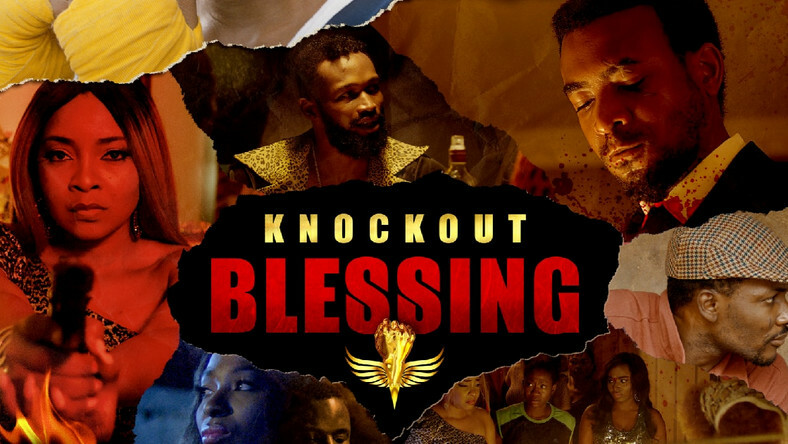 With his debut (Ojukokoro), Dare Olaitan made an impression of his gift of imagination, so the exotic narrative of “Knock Out Blessing (KOB)” is expected – an ambitious female boxer, Blessing (Ade Laoye) is forced out of her simple and discreet life into a dark and dangerous world where she, and her company of friends, have to survive being targets on multiple fronts to reach her career goal. Considering the robustness of such a tale and the decision to move between timelines to tell it, the story could easily have become clumsy and difficult to follow. However, Dare’s thought to narrate the story in chapters, effectively caters for that (he’s holding on to his love for Mr. Tarantino in this regard). The promising filmmaker’s enthusiasm with indigenous languages is also evident: for Ojukokoro it was chats in Benin Pidgin and Yoruba; here, KOB uses enough Pidgin again, and of course, Yoruba, to convince me that local language is a deliberate part of his art. Dare Olaitan might appear to do this to add more Nigerianess to his movies but local languages are necessary for some of the characters in KOB e.g. the conversations between Hannah (Meg Otanwa) and Oby (Linda Ejiofor) who acted as prostitutes, would not feel as genuine without their sound Pidgin, especially Hannah’s. Unfortunately, with the turn to local language, KOB opened itself to a bit of subtitle blunders which showed improper attention to detail. In addition to its exciting tale, KOB is elevated by the acting performances of its ensemble Cast. While Ademola Adedoyin doesn’t exactly blow one away in his role as Gowon, he remains adequate alongside the impressive trio of Ade Laoye, Meg Otanwa, and Linda Ejiofor, who feed off each other for their bout as Dagogo’s Angels. And if nothing else makes you rush to the cinema to watch KOB, Bucci Franklin’s portrayal of crime boss Dagogo should, not forgetting Gbenga Titiloye as Baba Blessing. Some of the narrative elements – plot, structure, dialogue, and cinematography – of KOB make it quite appealing to watch, but certain character representations and the visual effects required some improvement. Nonetheless, Knock Out Blessing sounds out Dare Olaitan as a name to watch out for in the future of Nollywood. He definitely has redeemed himself a bit from a certain project that will not be named. As a filmmaker, Dare proves himself as one carving an interesting niche, he really needs to cut better trailers for his projects though. Also, there is more to be done to seal his place in the history books of Nollywood. Hopefully that begins with a sequel to KOB to make up for its appalling ending. In-conclusion, Dare Olaitan’s ambitious take on film-making is the type that should be encouraged and supported (also, sincerely criticised); that way we just might get to see him direct an actual classic we would talk about for years after.